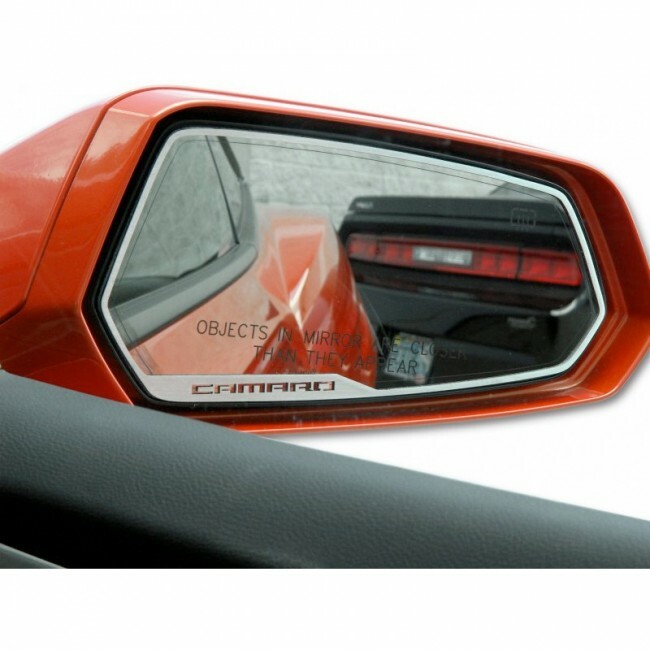 Add the finishing touch to your Camaro with these side view mirror trim pieces made from 100% brushed stainless steel with cut-out Camaro design. Easy "peel and stick" installation takes just minutes. Fits any Camaro from 2010-2013. Set of two. Made in the USA.